We were given the opportunity to review sticker decor from Wall Slicks in exchange for our honest and unbiased opinion of their product. Wall Slicks wall graphics will improve the style in every room of your home. Their wall decals can be used in the kitchen, playroom, living room, family room, bedroom, dorm room, even the garage. Wall Slicks adhesive vinyl wall decals can be used on any surface! 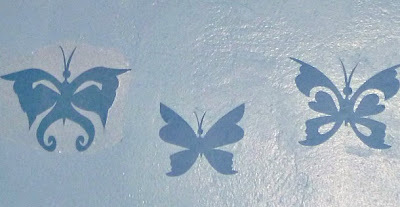 Their contemporary wall stickers work great on walls, glass, floors, doors, ceilings, furniture, and more. I was amazed that I could apply them to a shower curtain, mirrors, and tiles! Change your decor as often as you want! Removable wall decals are ideal on the walls of your baby’s or child’s room. As the children grow so can their wall decorations. Wall Slicks are truly awesome for wall decorating. I have used many different stickers on my walls. I wind up picking them up off the floor because of poor adhesive on the back. The most annoying is when I have had to scrub walls fearing for the paint while trying to remove the sticker. The adhesive on the Wall Slick stickers is made to stay on the back, without leaving any icky residue on the walls after removal. They also send a nifty lil squeegee with the stickers that will help when applying the decals. There are three steps involved when applying the stickers explained on an instruction paper, even when deciding to remove the stickers the squeegee is useful helping the stickers to peel away from the wall. There are many different beautiful graphics to choose from, all the thin smooth shapes are laser cut and made out of vinyl adhesive material. They offer 45 colors most of them available in different styles. The Wall Slicks can be used on most all smooth surfaces and some textured surfaces. Wall slicks not only offers their many graphic images, they also allow people to submit their own images. Personal art work can be turned into a wall sticker, how cool is that? The Wall Slick site has how to do it videos, inspiring pictures featuring ideas for their decals. I love these! I really want the set in the picture with nautical ones and just use the anchor in my daughters room. they arent expensive so i may get a couple! Very cute! I am in the middle of making a nursery for my baby boy due in September, I would love to get some of these for his room!! I like that I can submit my own image. I think that gives so much freedom on decorating. Those are really cool! I love how clean they look! I love the decals and they add so much to a room! Love these... we rent, so anything cute and removable is a big bonus! We have these in my son's room and they look great! 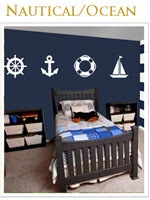 They make the room feel so cute :) I love the navy look with the anchors! So cute! We are re-modeling my daughters room and these would be great on the brand new walls! So great that you can use your own artwork -- a talented kid could make some customized wall art. These are so great!!! I love adding fun things to the walls and I love that you can submit your own designs! I would love to put these in my nursery! This is my kind of craft project! I am the least-crafty person out there, but it looks like I could handle these! These look really nice I love the nautical ones.I like that they're easy to remove too. 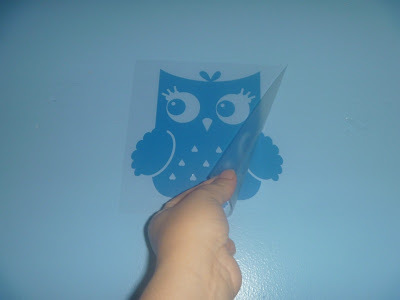 Oh I would love to use the owl ones in our room for my son! These would be great for nursery. I have to find out what we are having first. But we will be moving six month after he/she arrive so maybe after the move. How cool! I love that you can submit your own images! I love the nautical ones, perfect for my beach boys' room. I like that they send a squeegee with them to help smooth them on. I also like that you can get custom designs of your own artwork. That leaves anything to the imagination. Awesome. I love the white nautical on that dark blue wall. Gorgeous. So many good ideas! Cute! I would like to try these. I'd like to know if anyone used these and if they truly were removeable? I'd love to use something like this in my nursery!